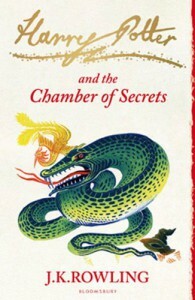 For the second book in the Harry Potter series, it was actually the only book that I haven't seen the movie for. I had seen the almost ending but for some reason I have never watched it the entire way through. So the general plot line of this story was completely new to me. Even though,throughout the novel I was constantly wondering what was going to happen/if there was enough pages left for everything to happen and I was so excited to find out what would happen next, for some reason it took me a very long time to finish this book. It took much longer than I had originally expected, I don't know the exact reason for this but I have a feeling that it was due to the fact that I was finishing my second year of university and just did not have time to sit down and read like I had with the first one.